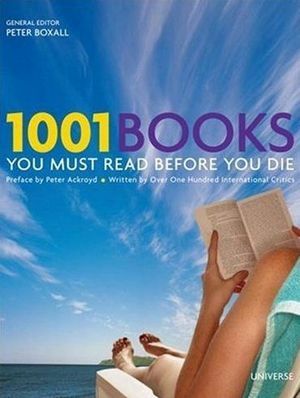 Here is the original list, from the 2007 edition of 1001 Books You Must Read Before You Die, edited by Peter Boxall. The books I’ve read are crossed out; the ones I’ve written about are linked and in bold. How many have you read? I got 55, which I don’t think is too shabby. Now if I had added books I couldn’t finish or books I own but haven’t even opened yet, I would have rocked it. There are a few here I couldn’t finish too. Not because I didn’t like them, but the language was too difficult. Darn 18th century novels. What’s the origin of this list? I’m not a fan of the eighteenth century either, but I’m quite a fan of sixteenth- and seventeenth-century lit. Nash’s Unfortunate Traveller is weird and interesting, and Oroonoko is amazing. It’s from a book called 1,001 Books You Must Read Before You Die. There are a few editions, but my list is the original from 2007. 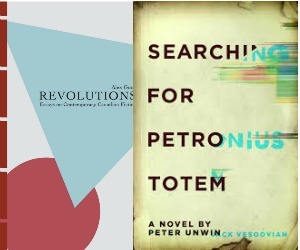 I need to get a few more early titles read. I keep looking at Oroonoko, just because of the title, I know nothing about it! I realized that after I had commented (sorry!). Oroonoko is a short novel about the abduction and enslavement of a young man and his wife. It’s tragic, but very interesting, historically speaking. No worries, you made me realize I should be a little more explicit about where the list came from, so I updated the page. You know it beats me how Philip Roth always manages to get more than one book on these lists, especially since he keeps writing the same book over and over. I always wonder about the criteria used to make these lists. Although I would agree with many of these selections, others seem rather arbitrary, and some are really pretty bad. Wow! I think I’m well read until I see a list like this and can barely count past five! There are just so many books out there! Well of course. I stole it from some website years ago! I’ve read 33 and promptly stole this list from you since I’ve had this book for ages and thought it might be fun to track my reading from it. I mean, why own a book like this if you don’t intend to read the books listed inside?